Choosing organic means that you are avoiding genetically modified foods, with foreign proteins such as insecticide chemicals grown within the plant, and remnants of high doses of herbicides. These pesticides (insecticides and herbicides) pose risks of inflammation and endocrine disruption, leading to chronic diseases including cancer. Many organic foods, including less common “heritage” foods, are highly nutritious,(9) and taste great! Organic farms are typically more diversified and resilient in the face of less predictable weather. 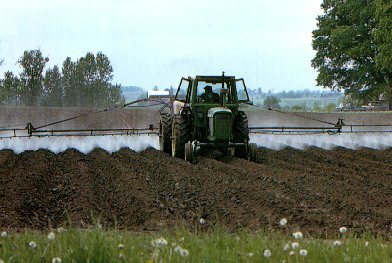 Worldwatch Institute analyses(13) have found that the answer to world hunger will not lie in massive agricultural enterprises; it will lie in diversified farms with modest if any chemical inputs, using seeds that are uniquely adapted to the local soils and climate, and practices that preserve clean water. 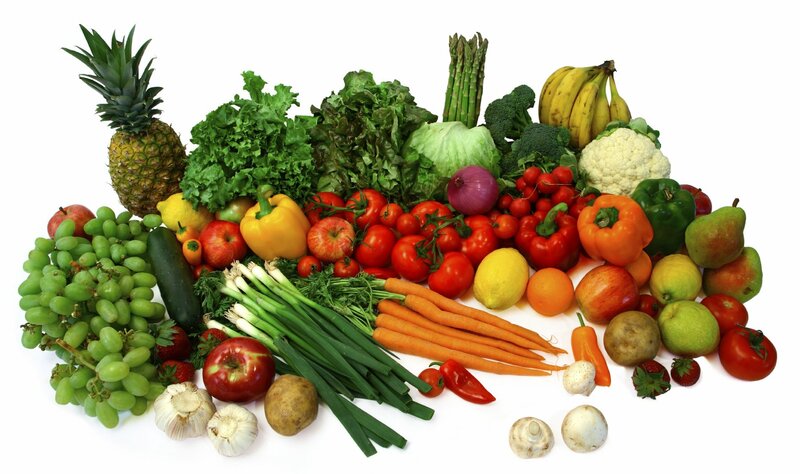 Some fruits and vegetables tend to be more contaminated by pesticides than others. 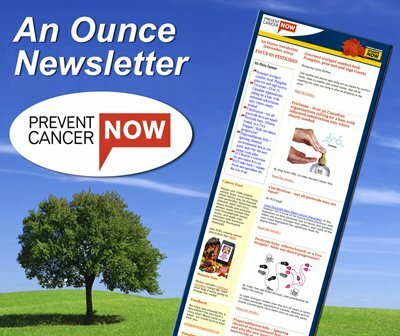 Prevent Cancer Now has reviewed recommendations from other organizations for buying organic produce. These lists are based on data from the US Food and Drug Agency, after the food was prepared for eating, such as typical washing or peeling. Our list includes fruits and vegetables with the highest frequencies and pesticides detected, as summarized by the Environmental Working Group in the US,(14) with an overlay of the toxicity of the pesticides, as analyzed by the Consumers Union. (15) We added corn because so much of it is now genetically modified. Corn is in many foods, in many forms. So here is our list of foods, with the most frequent and the most toxic pesticide residues. 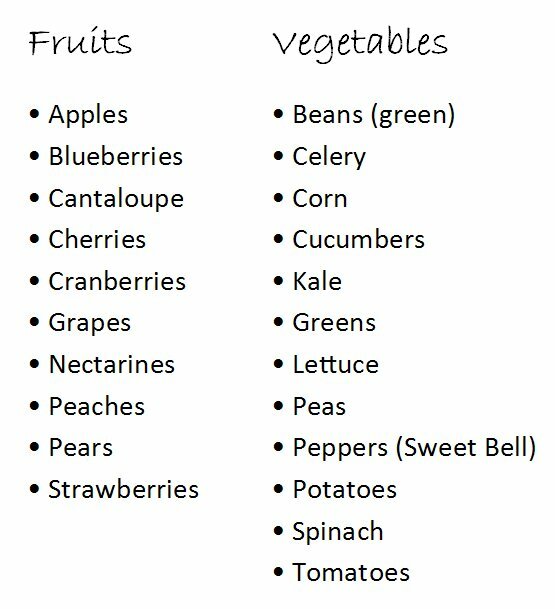 Try to buy organic versions of these great fruits and veggies! Get to know, and support your local farmers to produce great food in your area. The exposure that viticulture workers (the wine industry) experience was uncovered in a recent study in France (February 2013). The APAChe investigation analyzed the presence of agricultural pesticides in the hair of workers who do not directly handle pesticides but work in the vineyard, compared to that of nearby residents. Results demonstrated 11 times more pesticides residues on average among viticultural workers than the control group (6.6 pesticides found in average versus 0.6). More than 36% of the found molecules are suspected to be endocrine disruptors. More details can be found here. Brophy JT, Keith MM, Gorey KM, Luginaah I, Laukkanen E, Hellyer D, et al. Occupation and Breast Cancer. Ann NY Acad Sci. 2006;1076(1):765–777. Aris A, Leblanc S. Maternal and fetal exposure to pesticides associated to genetically modified foods in Eastern Townships of Quebec, Canada. Reprod Toxicol. 2011 May;31(4):528–533. Smith-Spangler C, Brandeau ML, Hunter GE, Bavinger JC, Pearson M, Eschbach PJ, et al. Are Organic Foods Safer or Healthier Than Conventional Alternatives? A Systematic Review. Ann Intern Med. 2012 Sep 4;157(5):348–366. Brandt K, Leifert C, Sanderson R, Seal CJ. Agroecosystem Management and Nutritional Quality of Plant Foods: The Case of Organic Fruits and Vegetables. Critical Reviews in Plant Sciences. 2011;30(1-2):177–197. Lynch DH, MacRae R, Martin RC. The Carbon and Global Warming Potential Impacts of Organic Farming: Does It Have a Significant Role in an Energy Constrained World? Sustainability. 2011 Jan 28;3(2):322–362. Horrigan L, Lawrence RS, Walker P. How sustainable agriculture can address the environmental and human health harms of industrial agriculture. Environ Health Perspect. 2002 May;110(5):445–456.